Alvvays is an exciting opening album from a band who bring refinement to a genre that make them sound mature beyond their years. Fuzz pop is a genre of music that has been surging in popularity of late. It is the kind of aesthetic that brings to mind early evening strolls down some nameless boulevard in Southern California. In my experience, though, many of the bands that tackle this sound tend to lean a little too heavily on the “fuzz factor”. This may be, in part, a kind of survival strategy as much as anything else. For up and coming bands who feel their greatest weakness may lie in their vocal talent, fuzz pop can offer a easily accessible solution. The more you crank that fuzz from the guitars, the less a bands possibly less than stellar singing is brought to attention. This phenomenon has made me a bit wary. So going in with that admitted amount of bias makes it even more credible when I say Alvvays’ debut album may be a standout of the summer so far. This brings me to my previous point of how the fuzz can sometimes lead to the overshadowing, intentional or not, of the vocals of the lead singer. But to my surprise, the vocals is where this album truly shines. From the opening track you realize that it wouldn’t really matter what genre of music lead singer Molly Rankin what singing over top of, she’d still be good if not great at what she does. The overall instrumentation is far from groundbreaking. This is not necessarily an insult as the band does a skilled, even at times imaginative, take on the popular easy-breezy rolling summer groove, a la Real Estate. That being said I’m just not sure any of it works all too well without Rankin’s vocals. Standout track, “Marry Me, Archie”, brings to mind, both lyrically and vocally, comparisons to Jenny Lewis during her Rilo Kiley days. If you’re a startup indie band with female singer, that is nothing short of impressive. Another highlight comes right off the bat with Alvvays’ opening track “Adult Diversion”. The song opens with short repeating drum line backed by a hollowed out, reverb-laden guitar riff. The skill in “Adult Diversion”, as well as many of the other songs, is the way each instrument comes and goes so seamlessly throughout the song. It has a way of feeling both completely consistent and excitedly varied, all at the same time. 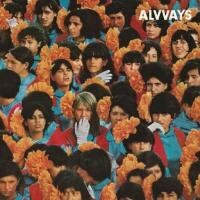 Alvvays is an exciting opening album from a band who, although not revolutionary in their musical styling, bring refinement to a genre that make them sound mature beyond their years.